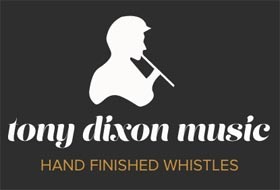 Tony Dixon Music manufactures high quality hand finished traditional whistles and flutes. The company was founded in 1997 by Tony who has played the concert flute since his childhood. If you visit the Tony Dixon Music website you can browse through their comprehensive catalogue of tin whistles and flutes.